← Poulet industriel ou poulet bio ? I recently bought a current sensor to measure my electric house consumption. 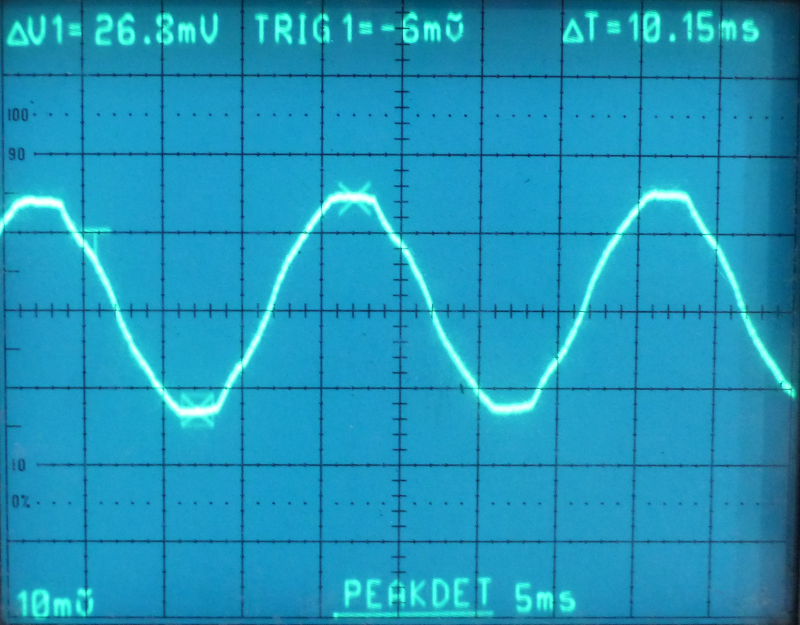 This sensor as a 1 volt amplitude output signal that can be captured by a simple sound input. I don’t have microphone input on my raspberry pi 3. Then to use my sensor I had to buy an USB soundcard on the internet. [ 9474.668029] usb 1-1.2: Manufacturer: C-Media Electronics Inc.
[171165.609634] usb 1-1.2: Manufacturer: C-Media Electronics Inc.
And on my laptop ! To test it on my laptop I hacked an extension cord to have a wire loop and grip the current sensor. 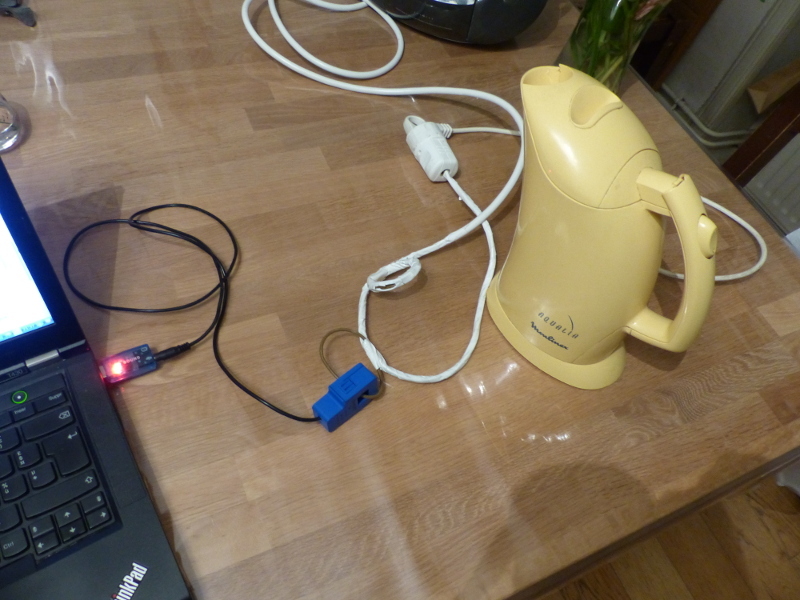 I then plugged a kettle on it to capture the electric current signal. In futur article we will see how to calculate the current consumption of my kettle from this wave files. Computer input microphone sound card. Ce contenu a été publié dans embarqué, informatique, avec comme mot(s)-clé(s) carte-son, consommation, courant, électricité, électronique, embarqué, linux, oscilloscope, raspberrypi. Vous pouvez le mettre en favoris avec ce permalien.